With 6 weeks of Summer holidays came a much welcome break from school however along with this came the worry that my kids would perhaps become a bit rusty with the skills they'd learnt that year. especially Gracie with it being her first year. So when I was offered the chance to review the new DK Workbooks with Carol Vorderman, I was more than happy to accept. We not only received three out of the four books, we were also surprised with pencils, rubber and notebook too. 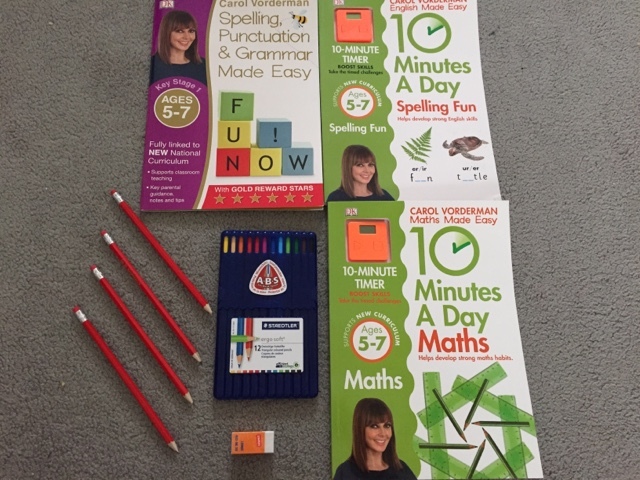 Now my kids have been helped by Carol Vorderman before when we trialled her 'Maths Factor' online earlier this year so I was expecting good things from these books. What we discovered when using them is that really help reinforce what the kids have already been learning. 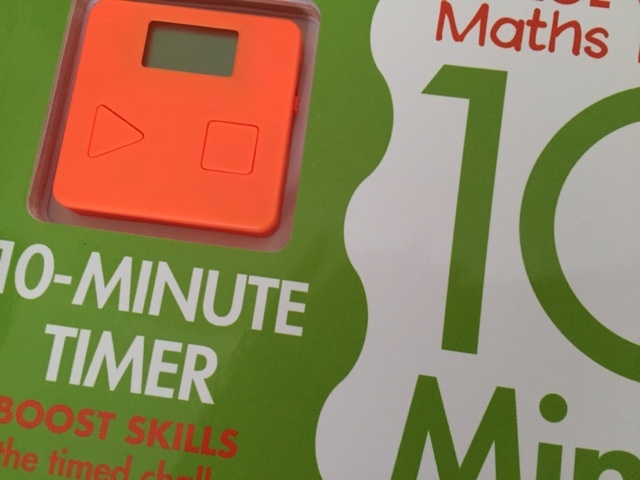 The 10 minute a day books each come with a timer. This makes learning more manageable in my opinion because we decided to stick with the 10 minute limit. The timer only goes up to 10 minutes and beeps when the time limit has been reached. 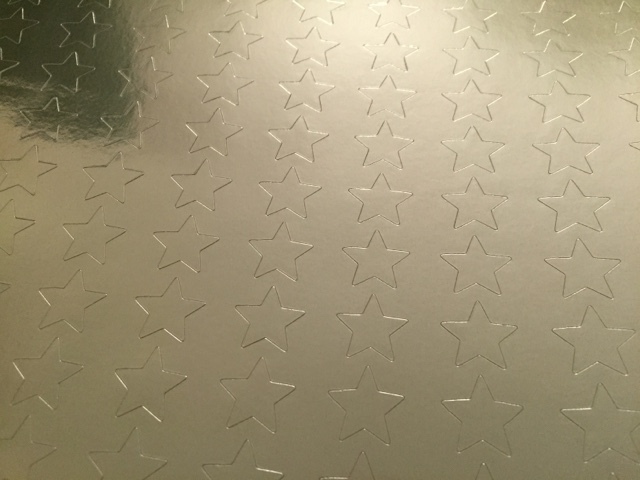 These short burst of learning allowed my children to learn without becoming bored of frustrated. There was a good mixture of content in each of the books making them suitable for the age range of 5-7 so both my 5 and 7 year olds found some enjoyment out of them. 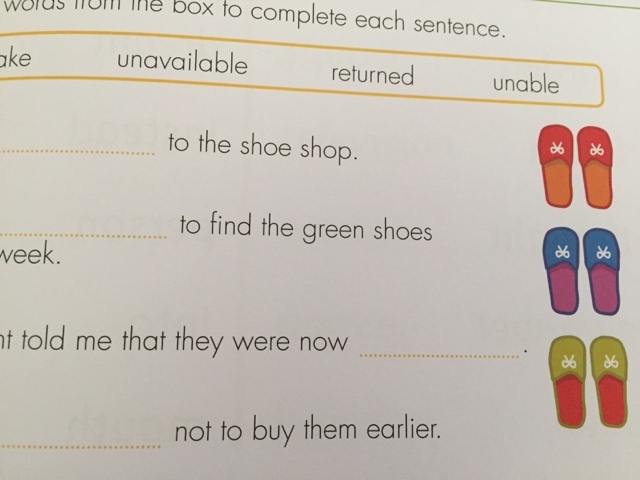 I did help my 5 year old when it came to reading some of the questions but the lay out of each task made them easy to understand. As well as allowing children to learn, these books also help us parents too. 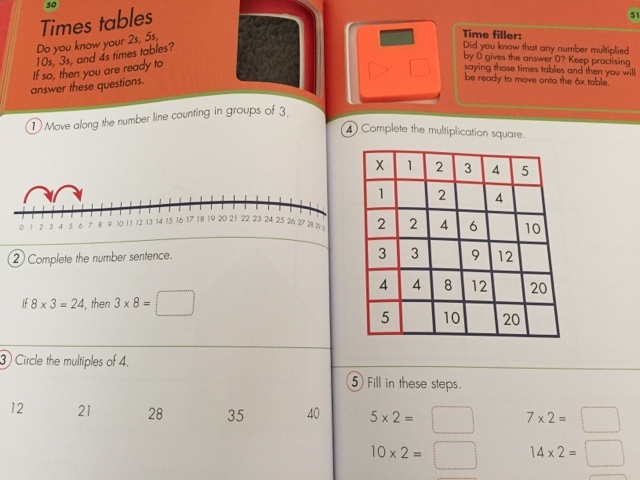 Answers are at the back of the book (just incase you can't work them out) and there are plenty of explanations, rules etc which simplify what you are reading. Bright colours and fun illustrations engage the younger kids and give the idea that learning can really be fun. 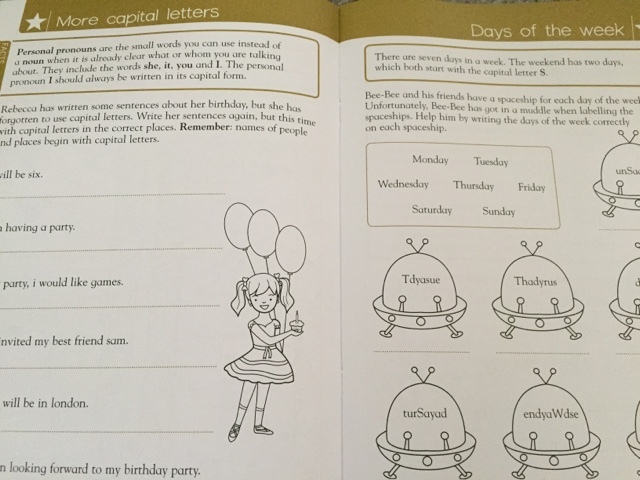 My 7 year old homed in on the spelling fun book, she's a keen writer so always looking to learn new words. She did each task with the pencil provided so that she was able to rub out answers when the task was complete, she ended up timing herself and challenging herself to answer the questions quicker (her fathers competitive streek coming out there). 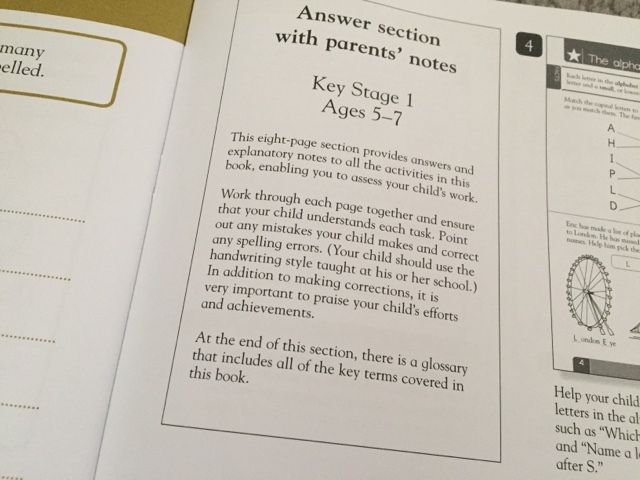 All of the workbooks follow the national curriculum so you know you are helping to steer your child in the right direction. These would be handy not only during the holidays but after school and weekends too, especially if you feel like your child needs an extra boost with things like spelling, maths etc. This set also gives them a chance to practice their handwriting giving a sneaky added extra. I do feel my kids benefited from a little extra learning in the holidays, but I must stress we only done this when they wanted to! These look like great fun. I'm such a geek, can't believe I said they looked fun! I can't wait to do things like this with S as she gets older though!